High Octane Automotive provides full service auto repair for foreign and domestic cars, SUV’s and light trucks in Northridge, CA. 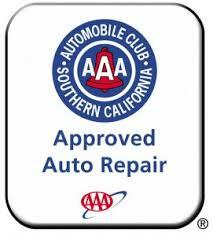 Our auto repair shop in Northridge, CA with our highly qualified automotive technicians, broad range of repair equipment and resources, and experience can provide just about every automotive repair or maintenance you may need. At High Octane Automotive we strive to offer the best service in town. We employ only highly qualified technicians and use only the best parts. We offer you a 1 year or 12,000 mile warranty on all our repairs. We have been a AC Delco Key Service Center with factory training for over 10 years. We offer Concierge Pickup & Delivery! Let us pamper you while we pamper your car. Call 818-349-4335 now to make an appointment.